ARCANUM — The Arcanum-Butler Local School Board appointed Jason Clark as the new principal for Arcanum Elementary School at the regular Board meeting held Thursday. Clark will assume his new duties in the school district in August for the 2015-16 school year. 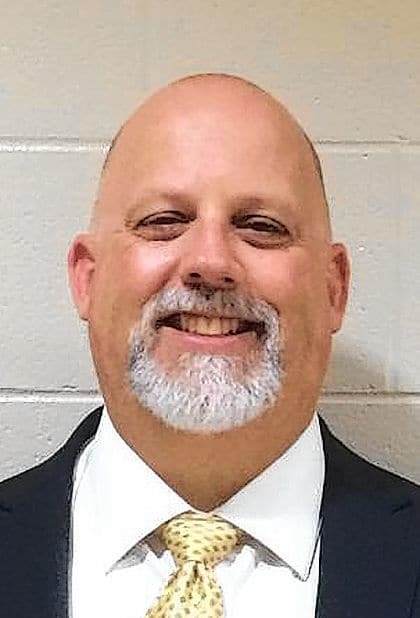 He replaces Ryan Malany who served the district for the last three years and has accepted an elementary principal position in the Delaware City School District near Columbus. The board approved a two-year contract for Clark. Clark began his career in education as a fourth-grade teacher in the New Lebanon City School District before becoming an assistant principal at Fairborn Primary. He most recently served as principal at Snowhill Elementary in Springfield since 2010. Clark is a 1991 graduate of Northmont City Schools. He received both his bachelor’s and master’s degrees at Wright State University in 2003 and completed his Principal Licensure from Antioch-McGregor. Clark lives in Union with his wife, Angie, and their three kids, Jackson, Savannah and Brooklyn. • FCCLA members to attend State Leadership Camp Oct. 12-13 at Heartland Retreat Center in Ashley, Ohio. Expenses will be covered by FCCLA fund and the students, with the school providing transportation. • Chuck Zell as a substitute bus driver. There were no comments from the public in a public hearing conducted regarding the retirement and rehiring of Timothy DeBrosse for high school language arts. Superintendent John Stephens reported that several special education instructional aides have signed up for upcoming training hosted by the Darke County Educational Service Center. The two-day training will focus on reviewing special education guidelines and provide engaging activities for understanding disability awareness, family and school partnerships, delineating roles, respecting confidentiality and effective problem solving. Stephens also reported that masons continue the demolition work on the instructional ends of the building. With approval of the brick mock-up, masons will proceed with the installation. Roofers continue to battle the rain, which has slowed progress, and have requested permission to work on weekends, as weather allows.